The Batman: Arkham Origins – Cold Cold Heart achievements guide lists every achievement for this Xbox 360 & PC action-adventure story DLC #1 and tells you how to get and unlock them. In the Batman: Arkham Origins – Cold Cold Heart achievement guide we’ll show there are 10 Achievements (9 Secret) with a total of 250 Gamerscore points to earn in the Xbox 360 and PC versions. Tip: When there’s 2 enemies walking under an icy stalactite, use your Thermal Batarang to bring down a stalactite when they walk/stand under it. To do this first select the Thermal Batarang in the gadget wheel. Secondly, Thermocharge the Batarang by holding the LT button on your Xbox 360 controller. Then aim the heated Thermal Batarang at an unstable stalactite and throw it with the RT button on Xbox 360. Tip: To get through and break ice walls, you must heat it up using your Extreme Environment Suit by holding the A button on your Xbox 360 controller. It works the same way when you want to melt the ice around frozen civilians. 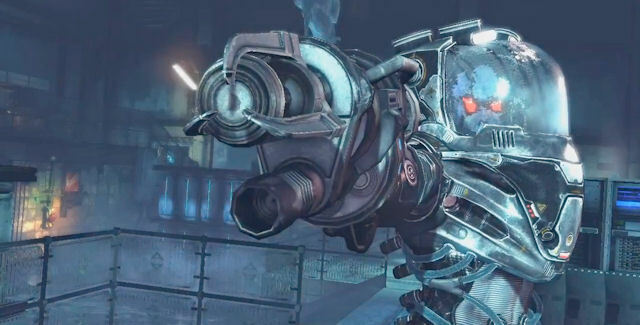 Please comment if you have any Batman: Arkham Origins – Cold Cold Heart achievement unlock tips of your own. Kudos will be given. – Thanks for visiting!